Established in the year 2012, We A2Z Fitness & Beauty Pvt Ltd is a leading importer and distributor of high quality medical equipments for the wellness and medical sector in India. 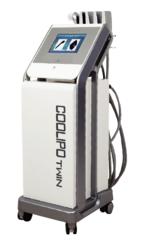 A2Z offers one of the widest series of products Q-Switched Nd Yag laser, Co2 fractional RF Laser, Diode Laser 808nm, OPT SHR IPL, HIFU, Hydra Facial, Aqua Peel, Cryo Air, Cryo Electrophoresis, Dermabrasion, Micro Needling RF, Fractional RF, Ultra Cavitation, RF, Cryo RF, ESWT, Cryolipolysis, Diode Laser 1060nm, HIFU, Pressotherapy, FIR Sauna, Steam Unit. The product was repute the brand of excellent quality and service firstly in India. Owing the Wellness industrial experience, we hold an immense expertise in importing a comprehensive range of Wellness and Medical lasers. The offered range of products are acknowledged for providing high level of customer satisfaction and long term stable results without any side-effects . With an aim to attain maximum level of client satisfaction, we provide these products in various specification and sizes. We are looking bulk inquiries from Mumbai, Chennai, Kolkata, Bangaluru, Ahmedabad, Hyderabad, Lucknow, Kanpur, Varanasi, Jaipur, Jodhpur, Ajmer, Bikaner, Kota, Udaipur, Bhilwara, Alwar, Agra, Meerut, Aligarh, Allahabad, Banaras, Mathura, Jhansi, Ghaziabad, Noida, Bareilly, Moradabad, Saharanpur, Uttar Pradesh, Punjab, Chandigarh, Jalandhar, Amritsar, Ludhiana, Bathinda, Pathankot, Patiala, Hoshiarpur, Himachal Pradesh, HP, UP, MP, Shimla, Dharamshala, Uttrakhand, Dehradun, Haridwar, Roorkee, Rudrapur, Rishikesh, Nainital, Udham Singh Nagar, Indore, Bhopal, Jabalpur, Gwalior, Ujjain, Sagar, Ratlam, Satna, Dewas, Gujrat, Surat, Vadodara, Rajkot, Bhavnagar, Jamnagar, Gandhinagar, Karnataka, Davanagere, Belgaum, Hubli, Chitradurga, Tamilnadu, Coimbatore, Madurai, Salem, Trichy, Tiruppur, Erode, Vellore, Kerela, Kochi, Thiruvananthapuram, Kozhikode, AP, Andhra Pradesh, Visakhapatnam, Vijayawada, Warangal, Guntur, Nellore, West Bengal, Asansol, Siliguri, Durgapur, Bardhaman, Bihar, Patna, Gaya, Bhagalpur, Muzaffarpur, Jharkhand, Jamshedpur, Dhanbad, Ranchi, Assam, Guwahati, Agartala, Shillong, Haryana, Karnal, Ambala, Panipat, Rohtak, Hisar, Faridabad, Gurgaon, Maharashtra, Pune, Nagpur, Thane, Nasik, Aurangabad, Rajasthan, Goa, Jammu, Srinagar, J&K, Chhattisgarh, Raipur, Bhilai, Bilaspur, Korba, Odisha, Bhubaneswar, Cuttack, Rourkela, Navi Mumbai, Virar, Kalyan, Bhiwandi, Puducherry and all over India.